Because there is personality to this great place. Imagine the kind of environment where you’d like to live and work: A place that is beautiful, clean and safe. Streets that are easy and walkable – with lots of transportation options. Boundless choices for enjoyment – from diverse dining to the finest in arts and culture. 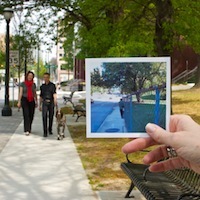 Accessible parks and greenspace. Successful businesses and convenient retail shops. A place that is alive with the pulse of the community. This is Midtown Atlanta. 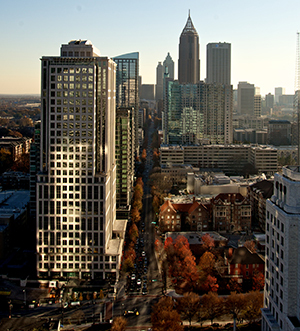 Midtown Atlanta has undergone a profound transformation over the past few decades to become a thriving activity center, attracting more than $5B of new investment from skyline to street-level since 2000. In Midtown, people, business and culture converge to create a live-work-play community with a personality all its own, and a quality of life virtually unmatched in the Southeast. Midtown is a great place to call home, a corporate address of choice, and a cultural destination. What's more, there is an organization - Midtown Alliance - with a dedicated staff on the ground every day working to create an exceptional urban experience in Midtown. Since 1978, enlightened leadership at Midtown Alliance has been the driving force behind the revitalization of Midtown and sustaining the district as a premiere destination for commerce, culture, learning and life. Midtown Atlanta was one of five neighborhoods in the US to be recognized by the American Planning Association on their 2016 list of "Great Places in America," acknowledging the mixed-use character and vibrancy of the community. Learn more about this designation and how it's a shared win for all the businesses, residents and partners that power our district. 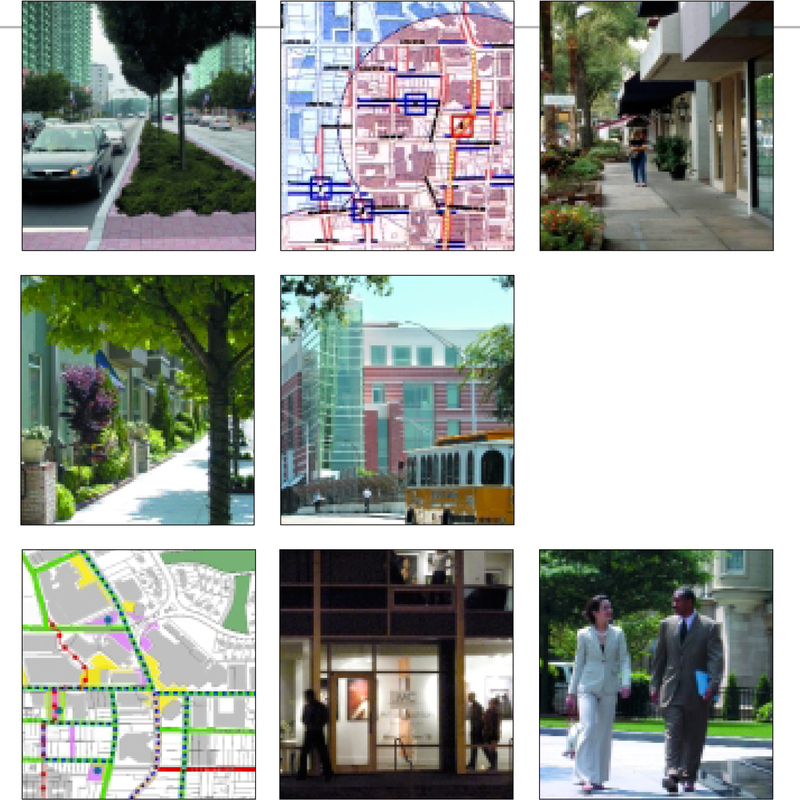 Districts like Midtown Atlanta don't happen without a vision. 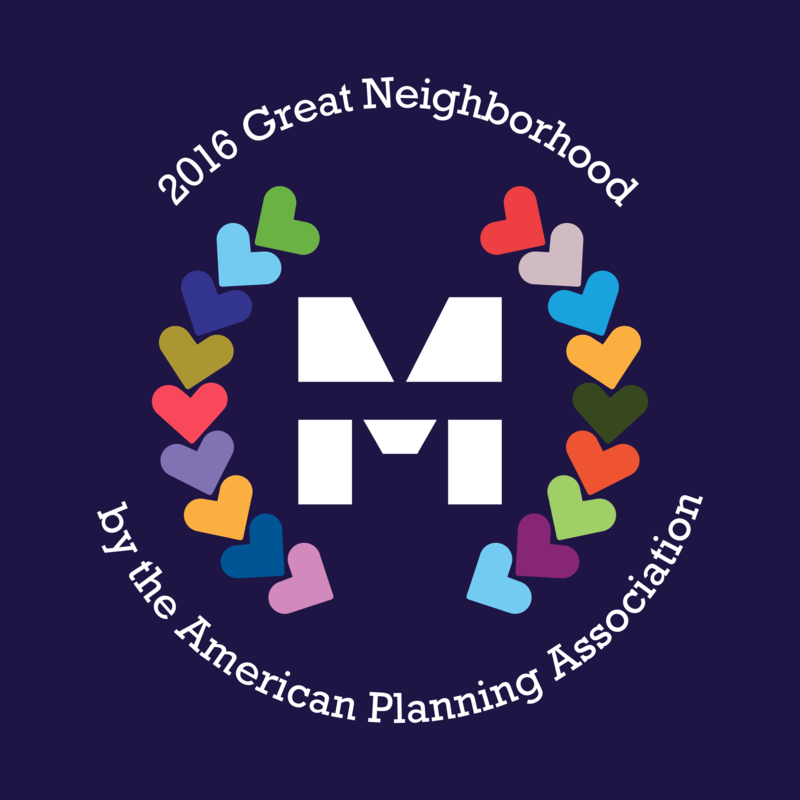 Blueprint Midtown represents the community's master plan, an enduring set of principles that guide the district's growth. The original Blueprint created in 1997 resulted in the single largest re-zoning in the City's history. Two decades later, Midtown Alliance is implementing bold ideas found in the third major update to the Blueprint. Read the Blueprint 3.0 Overview. 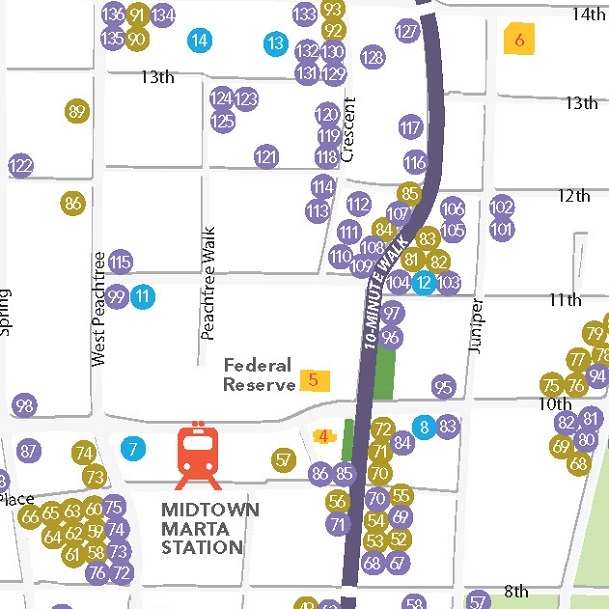 What sets Midtown apart is the capacity to explore the district's 120 blocks on foot. People who spend time here come to appreciate our wide, well-maintained, tree-lined sidewalks. Ready to get out and experience Midtown for yourself? Download a printable version of the Midtown Walking Map, your guide to local restaurants, stores and services. Midtown Alliance, with the financial support of the Midtown Improvement District (MID), works every day to make Midtown an even more vibrant, walkable center. What we do touches every facet of the public realm, from capital improvement projects and new transportation facilities to maintenance and public safety patrolling. Learn about our programs and projects that contribute to a great urban experience in the heart of it all.